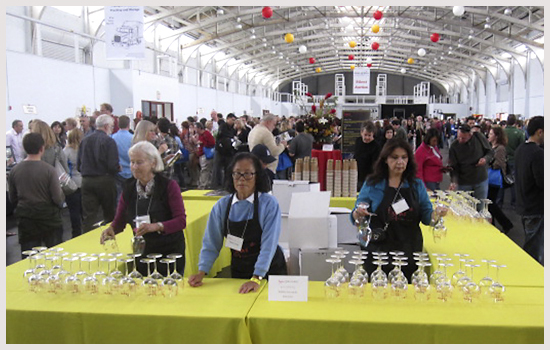 This last Sunday we attended the TAPAS wine tasting event at Fort Mason in San Francisco. It was held in the spacious Herbst Pavilion and there was plenty of space to maneuver among the 40 plus wineries presenting their Spanish varietal wines. 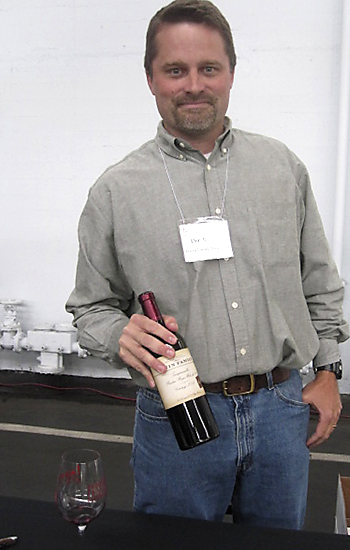 The wineries were mostly from California but some were from Washington, Oregon, and even Arizona. Janelle and I had decided beforehand to make two cycles around the pavilion. We first tried all the Albariño wines and the second time around it was all Tempranillo. There was no possible way to circle again and try some of the other Spanish varietals. We spit of course but palate fatigue settles in even if you rest, eat, and drink some of the SanTasti palate cleanser and rejuvenator that was available. We are very partial to Spanish wines after having spent 4 weeks in Spain in 2007. We really enjoy this Tapas event and we love comparing the domestic version of Spanish varietals to those of Spain. Here are our favorites of the Tapas tastings and our ratings. It is too bad that our favorite Albariño, the Longoria, is priced at $23. We enjoyed this wine but we can find many Spanish Albariño wines for under $15 that are just as tasty. I guess the same can be said for the Tempranillo wines we tasted. It is tough trying to compete with some of the big Spanish wineries that can export huge amounts of wines to the U.S at such a low cost. Recently we posted articles about Spanish Albariño wines and a taste-off we had of Spanish Tempranillo wines. So sorry that we could find only one Tempranillo wine under the $20 mark. The Irwin Family Vineyards was clearly the winner for us. This wine really tasted more like the Spanish Tempranillo wines you would find from Spain. Not so big and robust, just the right balance of body and acidity. Definitely a great buy at $25. We enjoyed the Jarvis but hey, at $65 a pop, you should like it a lot. The Yorba and Twisted Oak are also very delightful wines.